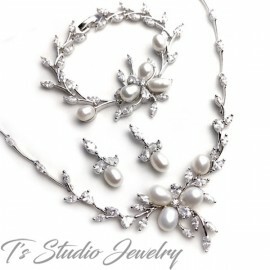 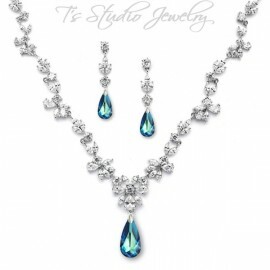 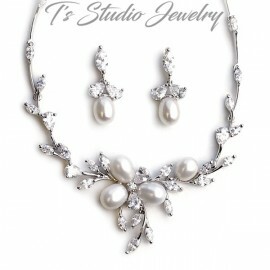 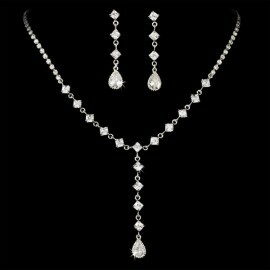 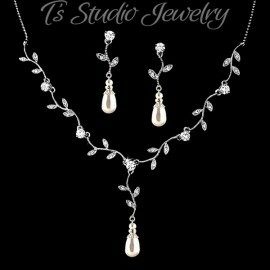 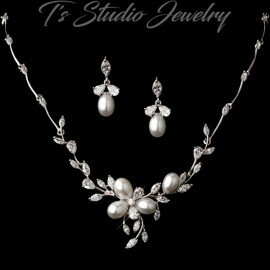 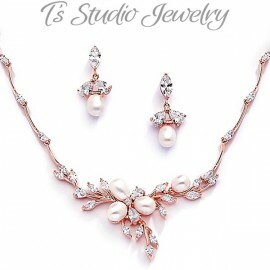 This elegant necklace and earring set features a gold plated curling design and sparkling rhinestones, with Swarovski teardrop pearls. 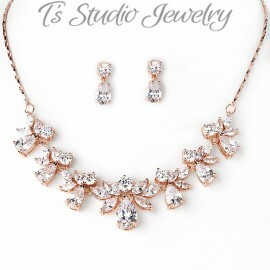 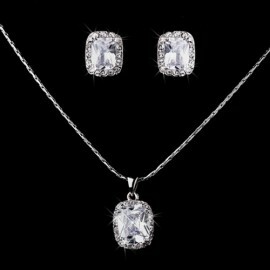 A subtle heart shape graces the earrings and the center of the necklace, making this piece a romantic addition to your wedding day, prom or any special occasion. 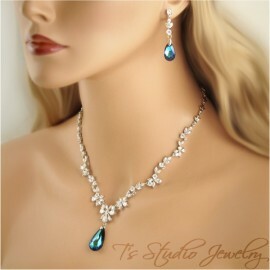 Also available with clear crystal drops instead of pearls.